Your job pays the bills — but your job title might make those bills bigger. Lenders and car insurers look at customers’ occupations when setting interest rates and premiums. Credit, income and debt matter more to lenders, but your job gives them clues about your borrowing habits. And insurers use occupation to predict if you’ll file claims. Lenders check that your reported income matches your occupation’s typical salary. A schoolteacher with a six-figure salary will raise a red flag, for example. Doctors are high earners with busy schedules. Translation: They’re sometimes late but eventually make good, says Todd Nelson, director of business development at online lender LightStream. Engineers and dentists are statistically more likely to repay loans on time than lawyers or accountants, though all are relatively highly paid, says Paul Gu, co-founder of online lender Upstart. Nurses and electricians are 7% less likely to default than those in other occupations, Gu says. Those with the job title “analyst” are also statistically less likely to default. Thirty-two percent of analysts who borrowed from online lender Prosper had a prior 60-day delinquency on their credit report, compared with 35% in other occupations, according to data provided by NSR Invest. And the unsteady incomes of salespeople and small business owners make them riskier customers, lenders say. Salespeople who took loans from Prosper had a prior 60-day delinquency rate of 38%, higher than other occupations, according to the NSR data. Sometimes, lenders just aren’t willing to take the risk. Nick Braun of Columbus, Ohio, quit his job last year to manage his growing pet insurance website. He was unable to refinance his mortgage despite having equity, good credit and a salary from the business. “It was an eye-opening experience,” he says. 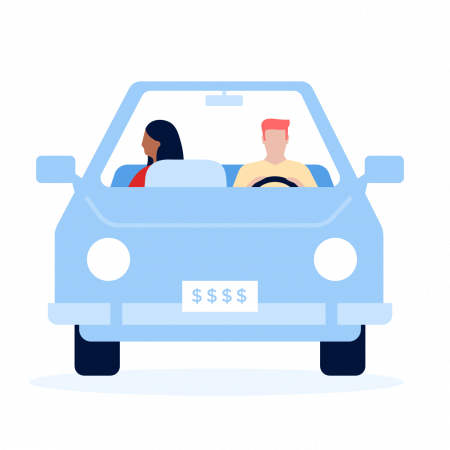 Some insurers use occupation as a factor to set car insurance rates, which usually means higher premiums for those in lower-income jobs. Consumer advocates say this hurts low earners with good driving records. But James Lynch, chief actuary at the Information Insurance Institute, says it’s only one factor and not all insurers use it. “All else being equal, your occupation may raise your rates by more than 20%” depending on your insurer and state, says Doug Heller at the Consumer Federation of America. The CFA’s June 2016 report showed that even when driving records and addresses were identical, insurance quotes were higher for people in lower-paying jobs. Bank tellers with a high school diploma, for example, would pay more than bank executives with a master’s degree. Shop around for better car insurance rates after moving, buying a home or getting married. Build your credit score for better rates. Pay your bills on time; don’t use more than 30% of your limit on any one credit card. Reduce debt. A lower debt-to-income ratio looks good to lenders. This article was written by NerdWallet and was originally published on USA Today.